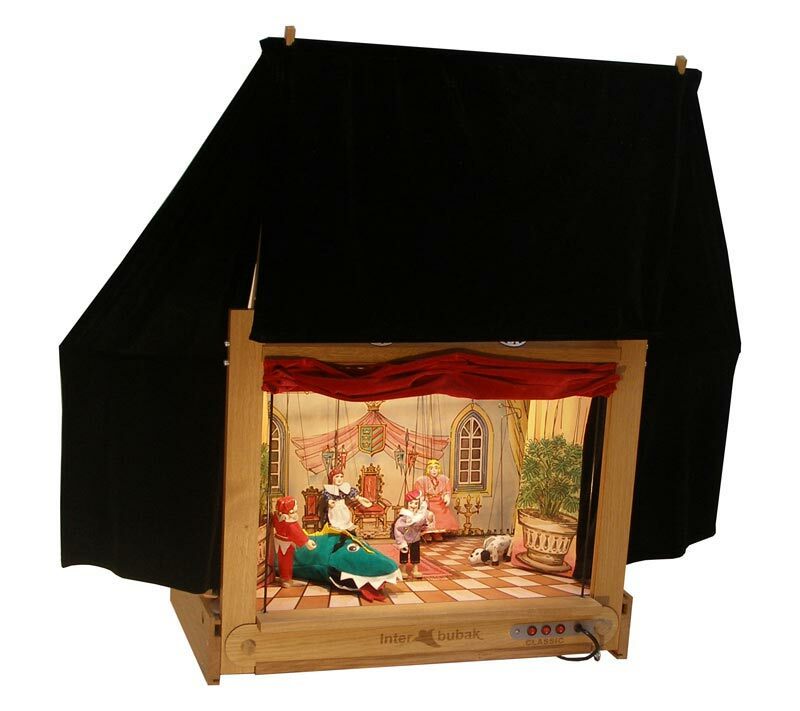 Home modern portable puppets theater for sale from wood. 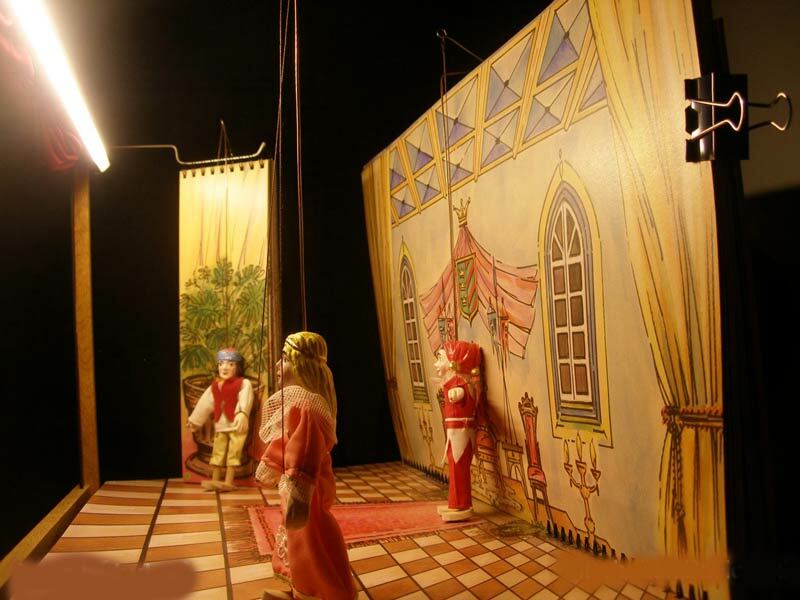 The wooden puppet theatre, marionette theaters to buy. 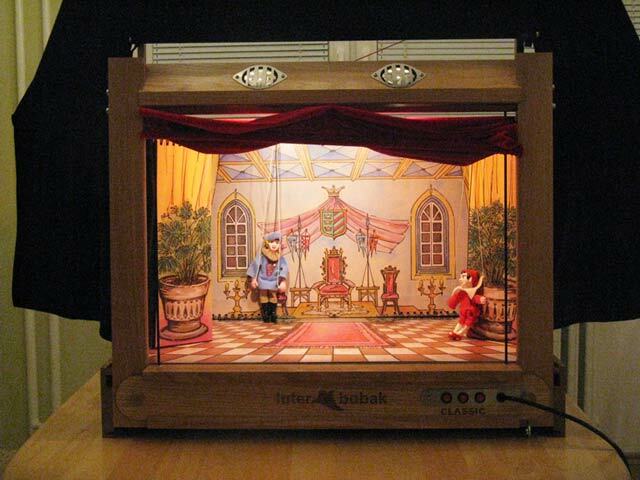 The puppet theater for kids is made from wood and contain of 16 puppets and 30 complete side scenes. 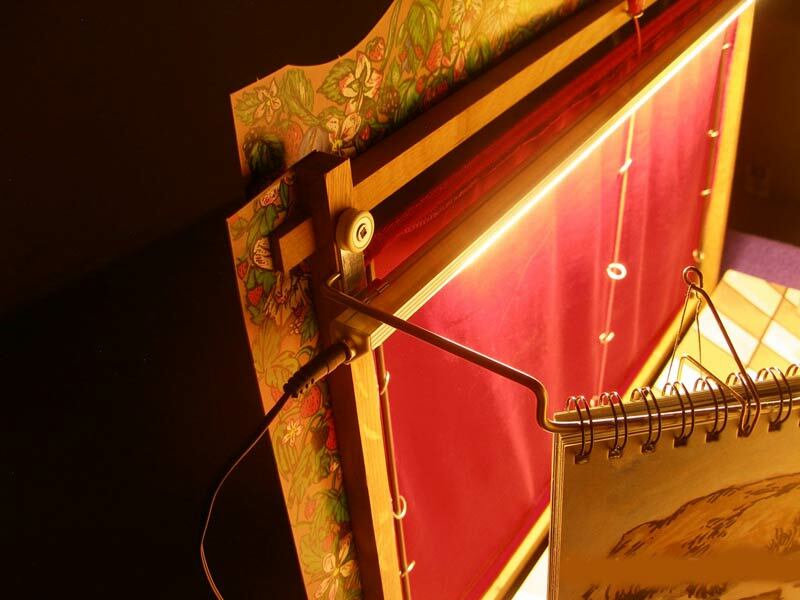 There are electric lights, above and below. 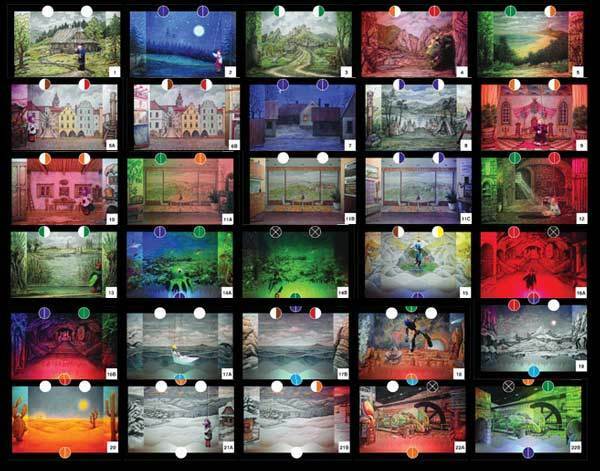 The theater has 18 color filters for the lighting. 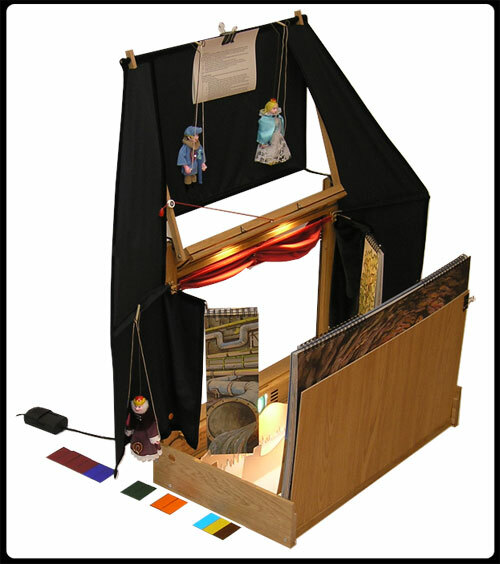 The puppet theater is complete and ready for the show. 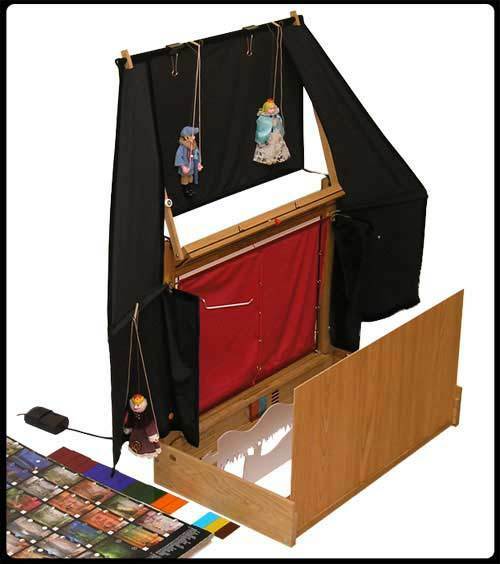 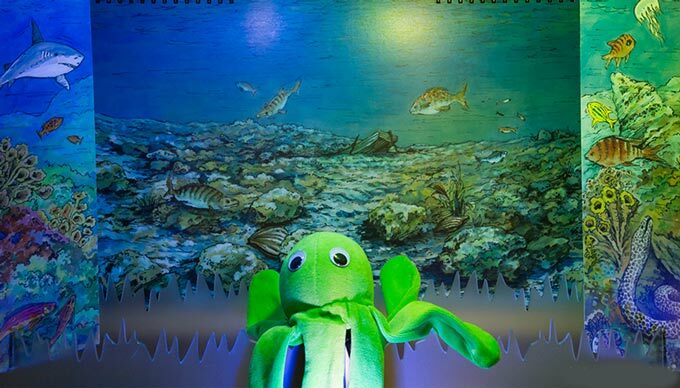 You can do puppet show for preschoolers. 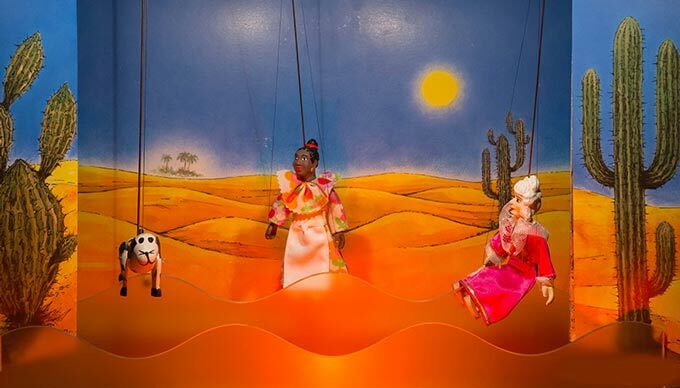 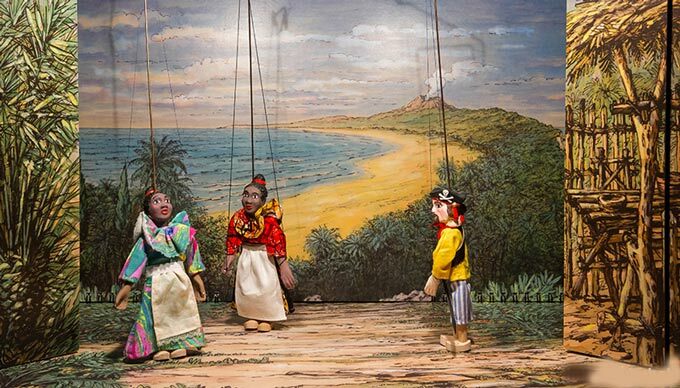 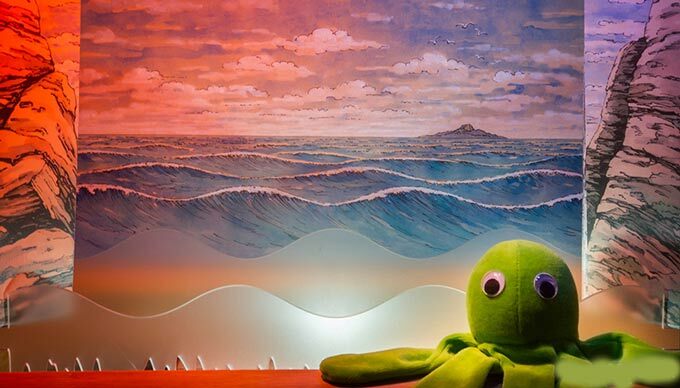 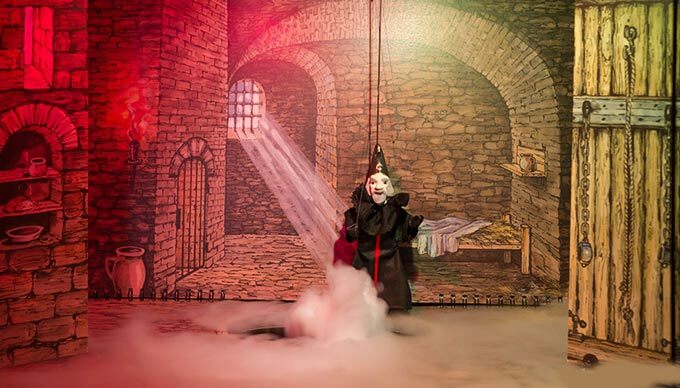 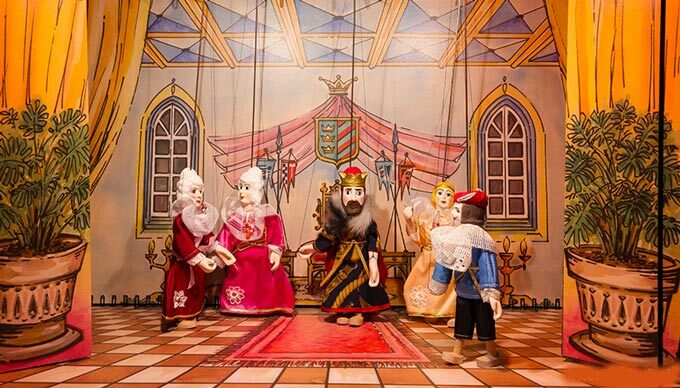 You can if you wish to complete the theater with other puppets marionettes and scenery offered in our store . 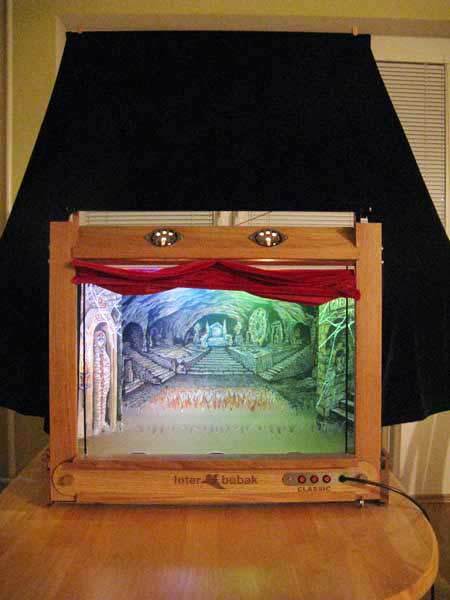 The theater has the transport box. 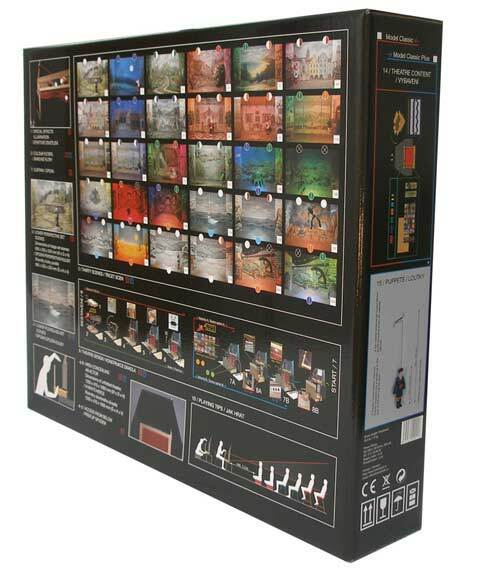 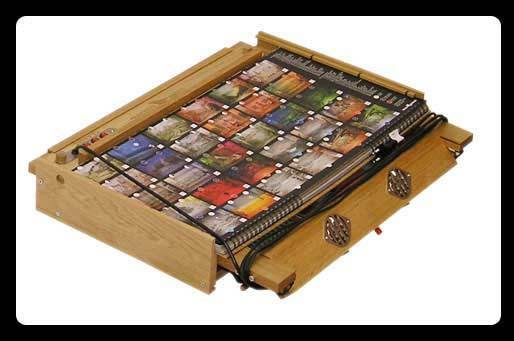 The transport box is 28”x23”x5” (72x58x13 cm.) 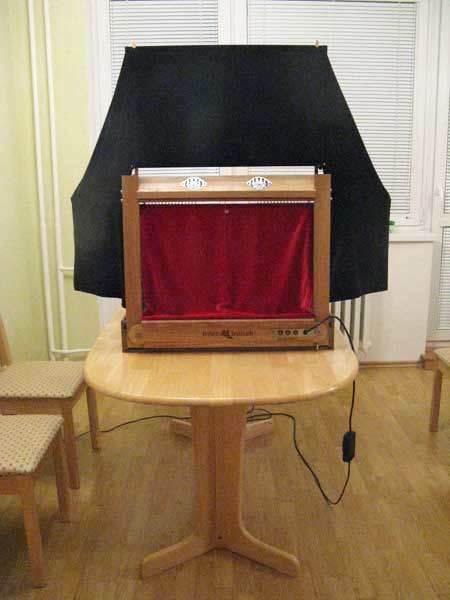 (Complete weight about 29 pound (13 kg). 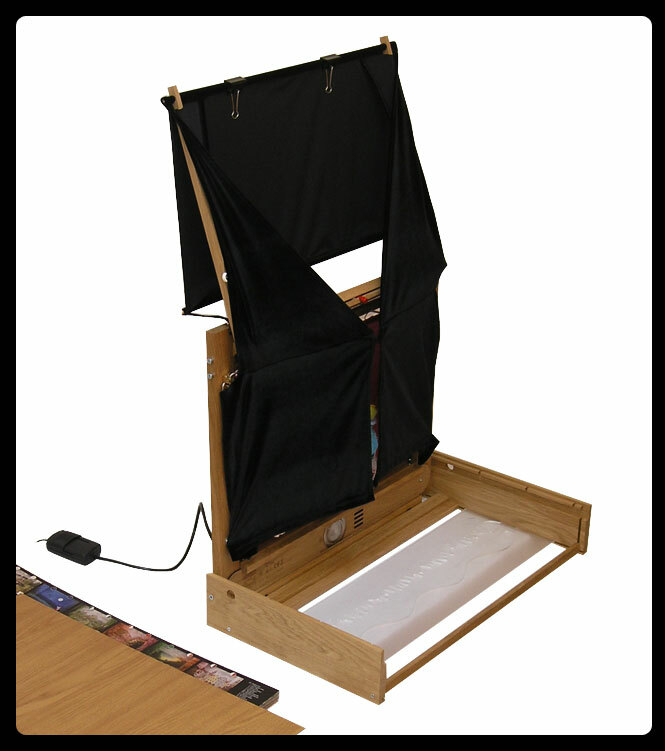 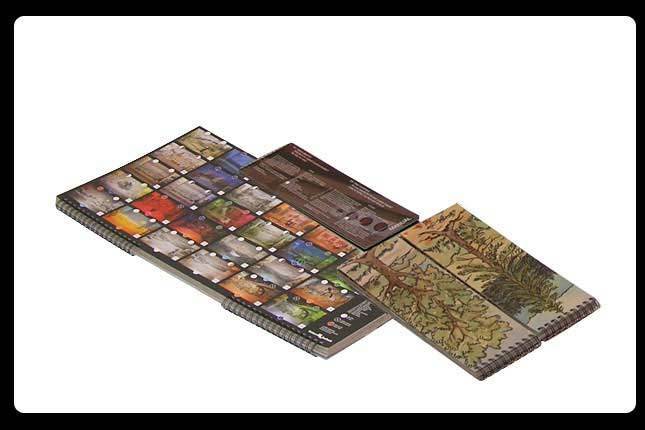 Ideal for the game in schools, special school, kindergartens, children's theater groups, hospitals, home! 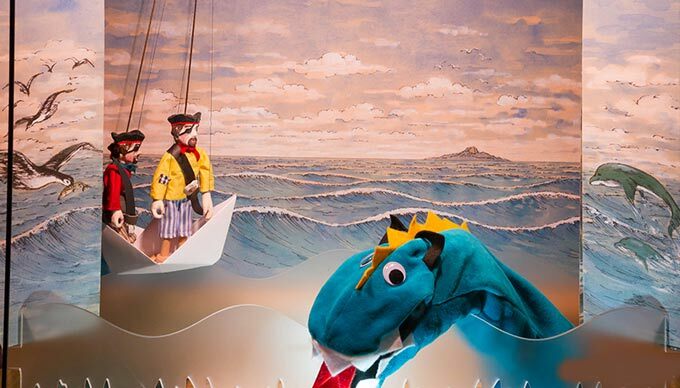 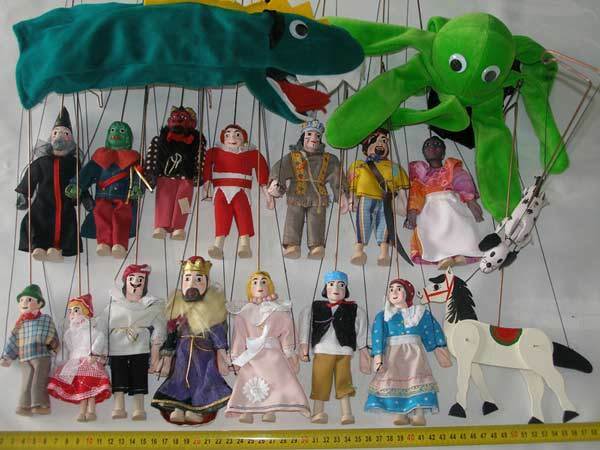 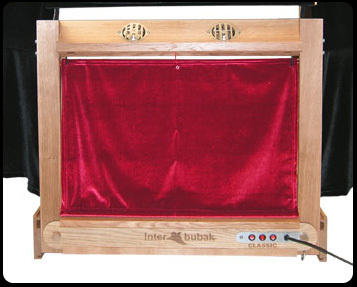 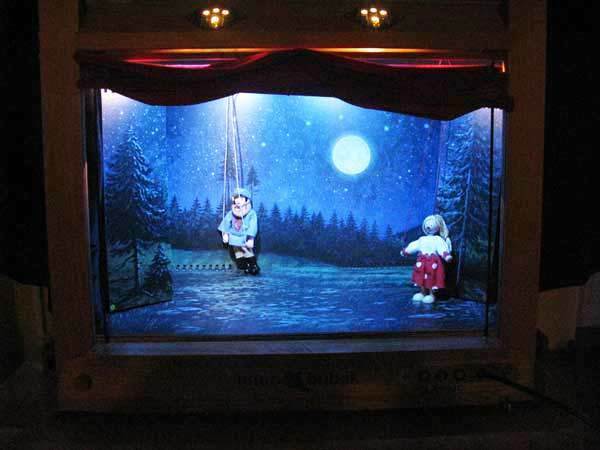 Wooden puppet theater has czech puppets and marionettes for kids: the Dragon, the King, Hansel, Gretel, the Jester, the Wizard, the Princess, the Prince, the Devil, the Pirate, the Father, Mum, Water man, the Indian, the Black woman, The Horse, Sea monster, the Dog. 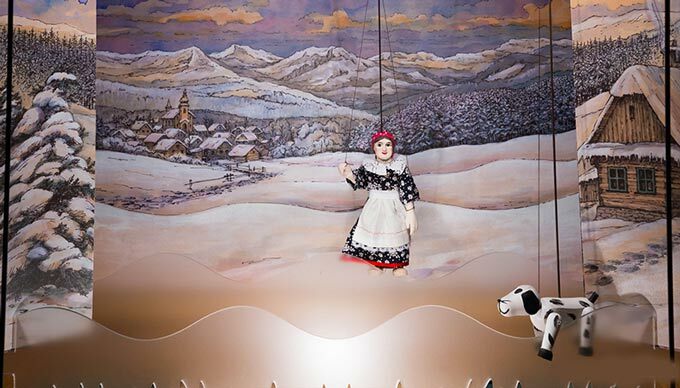 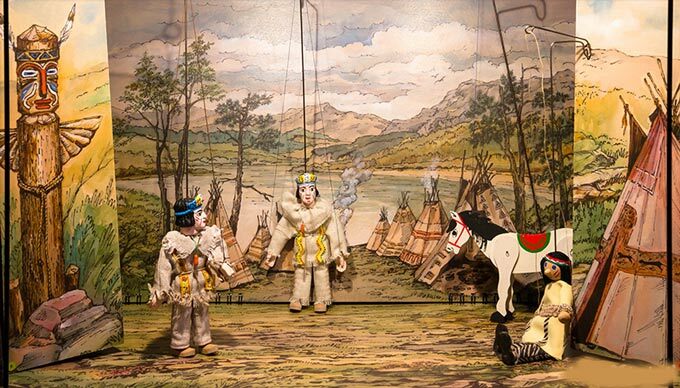 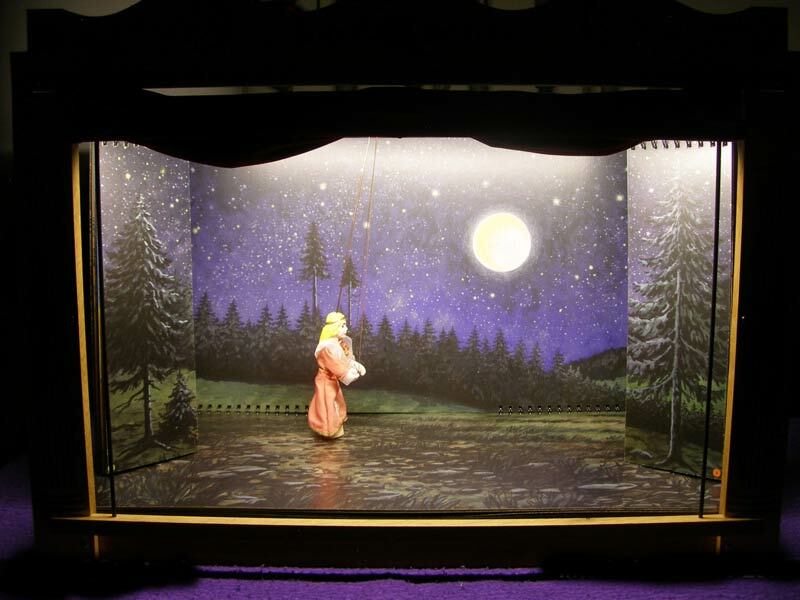 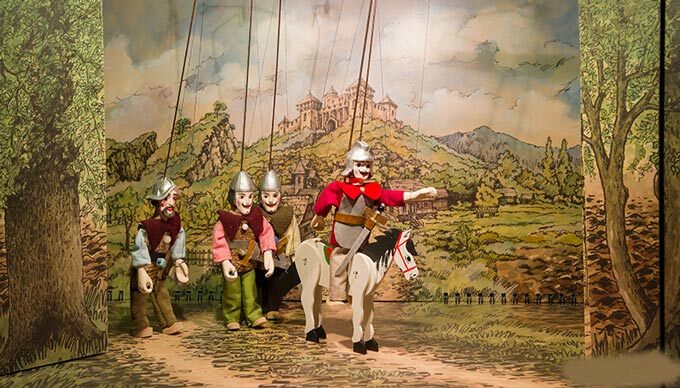 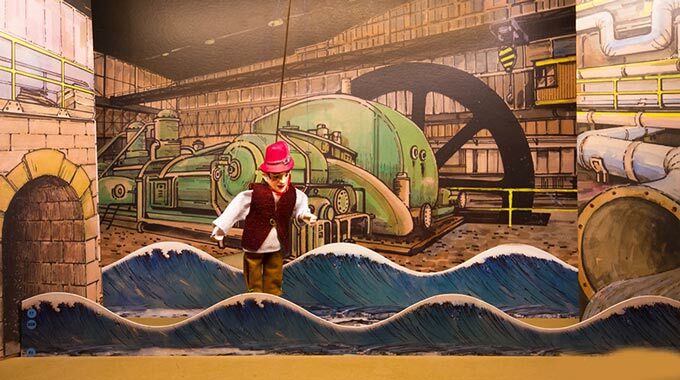 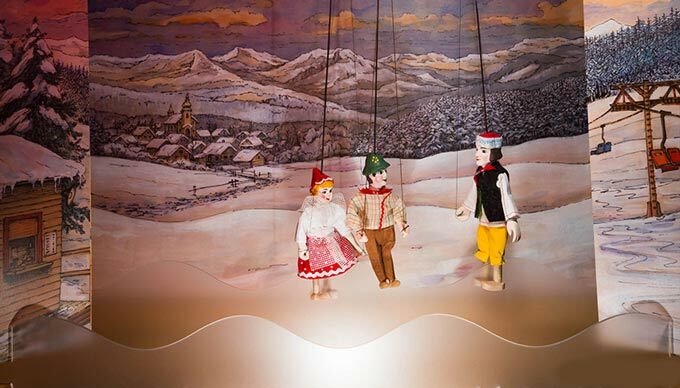 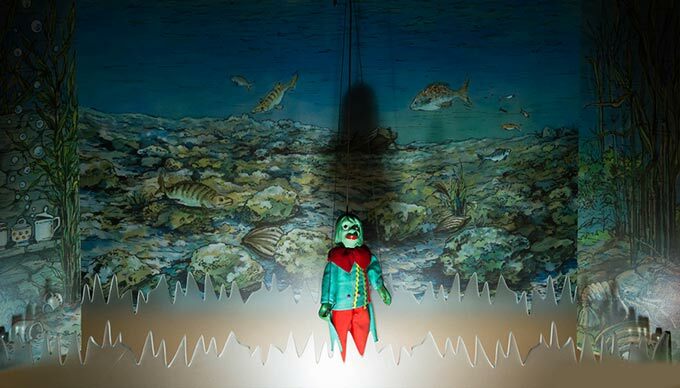 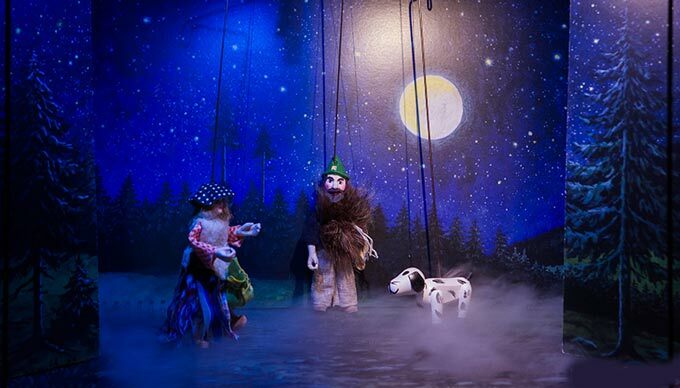 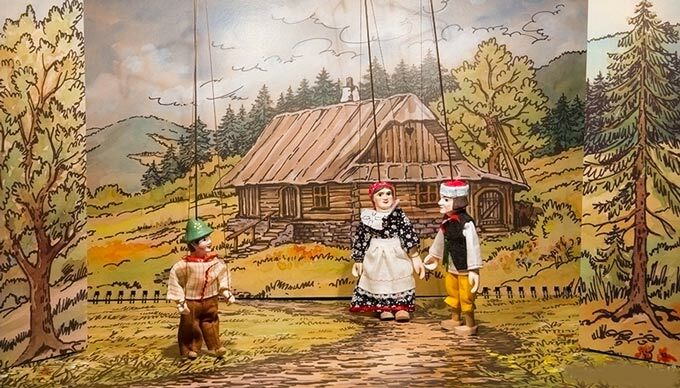 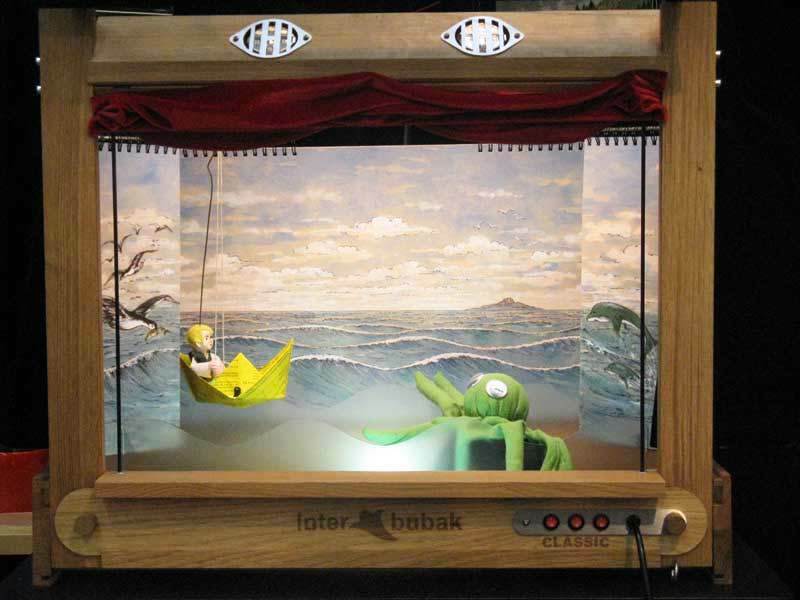 An original czech puppets theater, handmade by a Czech artist. 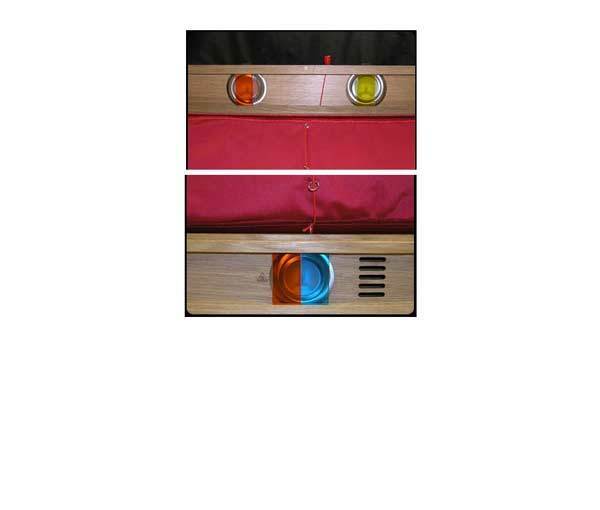 The gift exclusive!